Production process of concrete mixing plant is very safe, but there are still some accidents here. If you want to avoid an accident, you have to know what area of the mixing station belong to risk area. 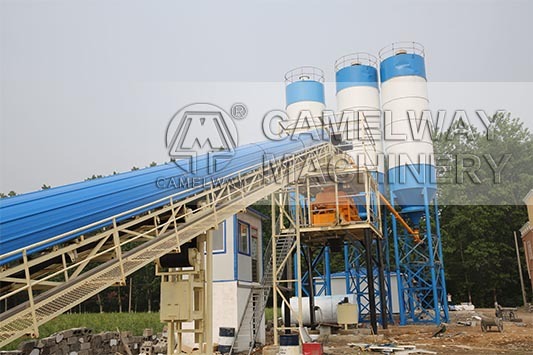 Zhengzhou Camelway Machinery will give you an introduction. Don’t come into the work scope of bucket elevator or inclined belt conveyor, otherwise you will be injured by machine. Don’t stand the work scope of concrete mixing plant, or you could be involved into the horizontal belt. Don’t come into work scope of the hopper. To stop the hand directly into the screw conveyor internal, or you’ll be injured by spiral vane. If you get into the internal mixing drum to clean the mixing mixer and not switch, lock, press the stop switch, you could be damaged by mixing blade. If you pay more attention to the dangerous area, you can guarantee security during the process of operation. We are specialized in the production of concrete mixer and some products are exported to Vietnam, Laos, Kazakhstan, Mongolia, Russia, Cuba, Brazil and other countries, being highly praised by foreign friends. If you want to know more information about the concrete mixer or buy it, you can contact us.